I met Mike Vernon for the first time when I got to London. Thankfully, he turned out to be a very calm, but diligent producer who really regarded the artist. He was very encouraging to me. He looked like a rock star too, with a great A&R business brain and an acute vigilance for the blues, ergo his Blue Horizon Record Label. Before we went into the studio, Mike Vernon and I went through a ton of his blues records collection to see what songs might work for me…what I could get into emotionally, psychically and musically. From that batch we honed it down to a few. I had brought with me from the States, Drive Me Daddy, Fool For You, Tell Mama, Let The Good Times Roll, It Takes A Lot To Laugh, It Takes a Train to Cry (Dylan was eventually my neighbor when I lived in Woodstock). The songs I ended up choosing in London were Feel So Bad, I’m Going to Leave You and In My Girlish Days while we were working the album. Before the sessions began, I locked myself in a hotel room for about a week just rehearsing, singing with the original records of a bunch of songs. I sang them a million times before I decided which songs to present to Mike and which songs would jive with the musician lineup we had. I wrote the lyrics to Swamp Man from a groove that Paul Kossoff wound up at the recording session …and then, Sweet Man which came as an extemporaneous blues…pretty much written on the spot. For the most part, I wanted to find a way to make the old songs my own – tried to give them my take. I was singing these songs so intensely and ferociously, day and night, that many times the Hotel manager knocked on my door, saying he liked the music, but people were trying to get some sleep. I just sang softer until I just konked out! All of the musicians on “Fiends and Angels” were Mike Vernon’s buddies or at least players he had worked with to help create their originating mark on the music world. Every time another amazing musician walked into the studio, I was wide-eyed and gleeful. Everything about the sessions was magical…gathering with these players, the producer, the engineer, all of it was so transcendent, I was happy for the experience. The first time I heard I’m Gonna Leave You on the radio, I was in San Francisco. I was concentrating on something else, when Clapton’s intro guitar lick came on and I heard myself and suddenly it all congealed like a surreal recollection. But then, there it was, I was on the radio…it was a great kick. What happened at the recording sessions was extraordinary. Musicians who command admiration by virtue of their musical abilities seem larger than life. I was not so much intimidated, but very grateful to these young men for responding to the call. I was a bit awkward with them at first, but London musicians really have a yen for the American sound, and that’s where we coalesced. They listened to some playbacks, thought it sounded really immediate and cool, and spread the word. Jimmy Page came by, wanting to play…actually, I ran into him on the street as he was coming to the studio. I was standing outside of Decca Studios, with Clapton, Bruce and Mitchell, Jimmy Page walked up and said he would love to play. As luck would have it, we had just finished for the day and he was heading out on tour or some other place….or, he too would have added his vibe. 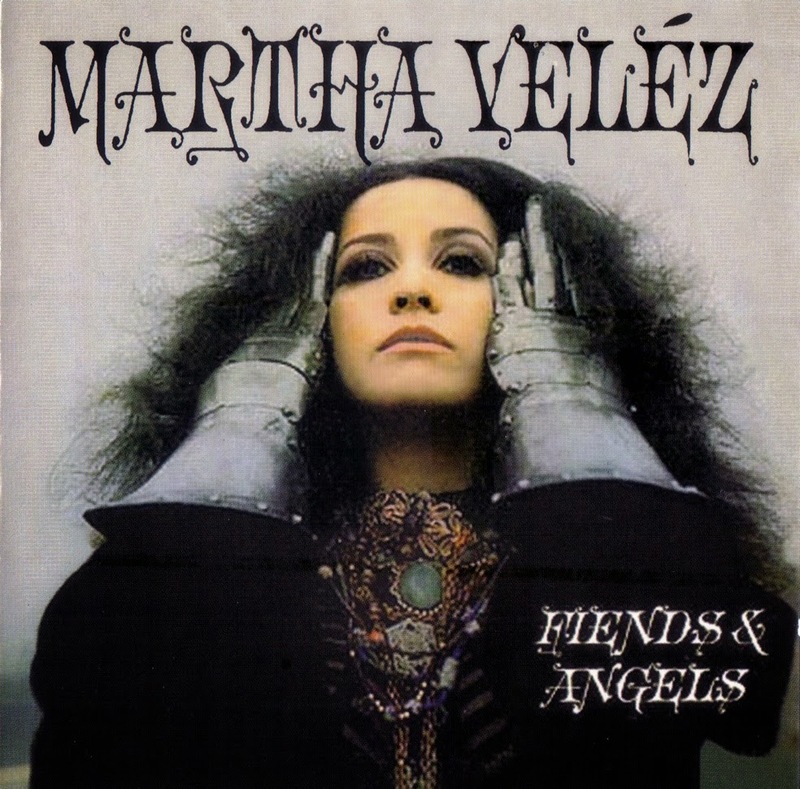 The album title, “Fiends and Angels” came to me because everyone was such a fiend, ferocious, dangerous, mad about playing, that is when they played, and sweet, pristine, shy and innocent angelic when they were not playing. As far as I remember there were no tracks recorded that were left off the album. Although this was early in the career of Clapton, Bruce, Jim Capaldi and Mitch Mitchell, the image in my head had created these rather larger than life individuals. When we met that day in Decca Studios that image was ameliorated by reality. They came in. We met – both Eric Clapton and Jack Bruce were soft spoken and polite. Clapton was almost shy. I’m a rather tall girl, and in those days, I was into wearing these suede patchwork boots, so I felt like a towering lanky tree branch gazing down at these pristine pale-faced boys. They were trim with tight hipped bell bottoms and snug silk tee shirts. Their hair was long enough for the era’s cool mode, their demeanor did not betray any secrets they held about impending destructive habits at the hand of narcotics. They were simply beautiful young men at the precipice of greatness in the music of the day. Clapton cast his eyes down when he spoke with this urgency to be shielded by his instrument and staved off his shyness by speaking through the language of his guitar. Bruce was more talkative and talked about his recently born son….and, if I remember this correctly said he had named him Joe, “a good cab driver’s name” he said. We told each other quick quipping stories of our respective music deals. We laughed a lot at the language of the “suits”, but were grateful for them and their ways of seeing us as more than talented but business partners in this magic of music. Clapton had this thing about looking around the room checking out the people there, slightly leaning forward like a telescope, searching out any discrepancies. That day, there was a very young girl that Clapton had brought with him to the session. She was quite beautiful, but the most astounding part of her presence were the sparkles that she had somehow put on her cheeks…Later, I found out that she was some British Lord’s daughter who was barely 15 years old. She never uttered a word…I know now why she was so discreet. Eric played for her and gazed from the fire in his guitar to her serene very still sparkled baby face. As they set down to play, Clapton, who was rather shy and careful, seemed to caress his guitar, passed a soft cloth over it, and appeared to caress it as a shield of personal discretion. The musicians and I got down to the business of making music together. Most of the tunes were “head arrangements”, ideas that came on the spot. I had practiced the tunes on my own, so when the players arrived, I had an idea as to what my thoughts were on the songs, how they could be sung, but only imaginings as to how they could work with these players. They, of course, had their musicianship flowing and after a few rehearsal run throughs, we hit the songs running. 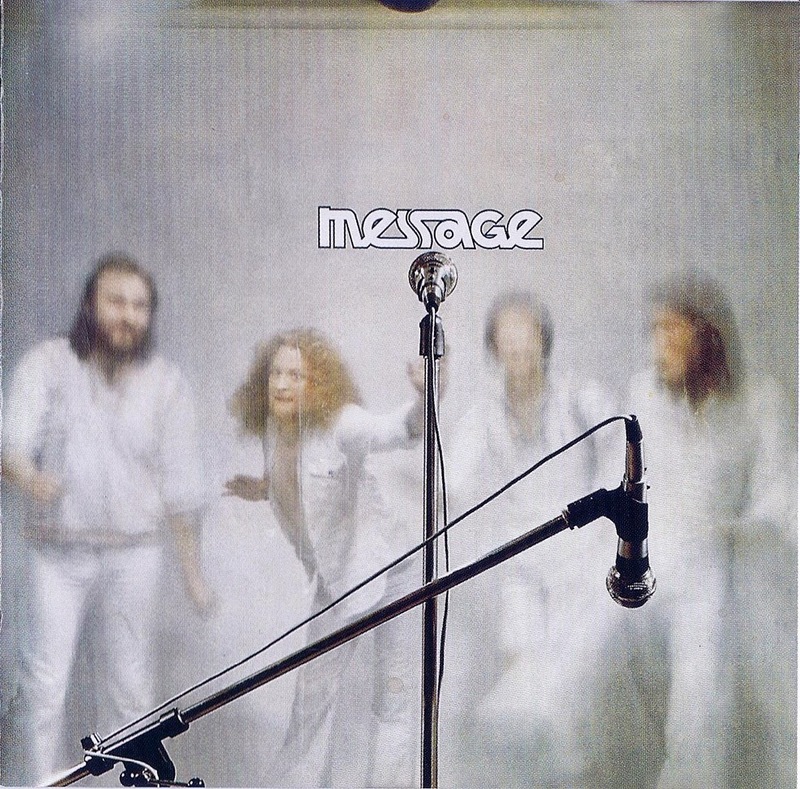 Message were one of those enigmas of the Krautrock scene, in that their origins were not only from Germany, but also from Britain. They evolved out of an early sixties Scottish rock 'n roll band called The Waysiders. When they split, guitarist Allan Murdoch returned to England and ended up playing in a band called M15 with future Nektar keyboard player Allan ' Taff ' Freeman. Due to lack of media interest, M15 moved to Germany in 1967 and eventually became Prophesy which evolved into Nektar. In the meantime, current Birth Control bassist Horst Stachelhaus had formed Message in 1968 and the two bands became close friends. 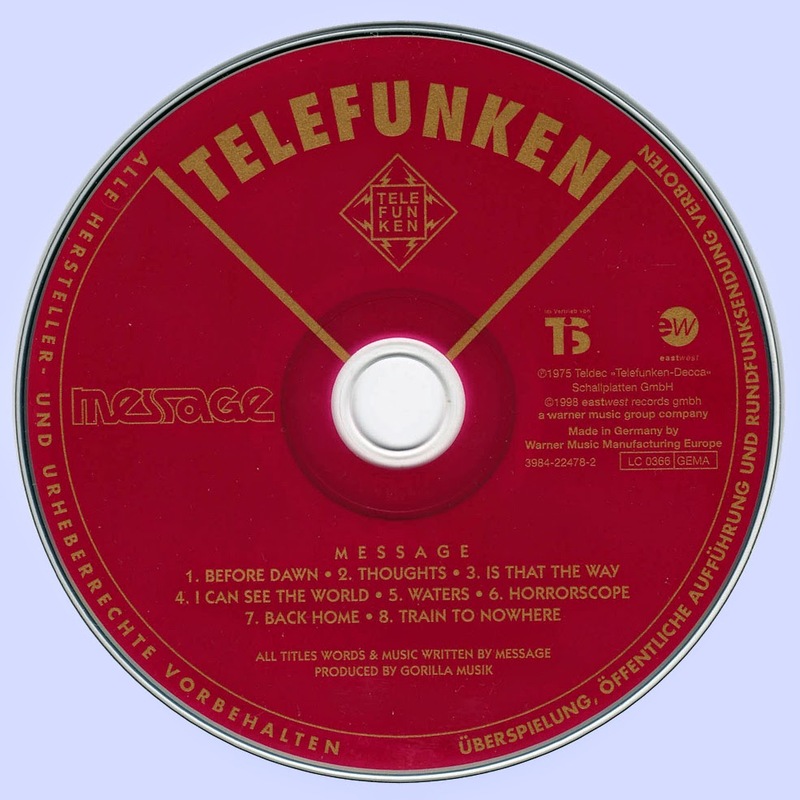 Murdoch joined Message and invited along his old friend, vocalist and sax player Tom McGuigan, and that's how the British / German Message was formed. The band were similar in style to Nektar in many ways. Message combined the best of British heavy progressive styles with Krautrock innovation, and they secured a record deal with German label Bacillus and released their excellent debut album in 1972. As good as the album was, it was only when they released their second album, "From Books and Dreams", that people started to realize their worth. In 1975, drummer Manfred von Bohr (also later to join Birth Control), replaced Gunther Klingel and the band also had a change of record label, moving to Nova Records. (The new album, self-titled and released in 1975, also received a British release on Deca Records). Subsequent albums saw them move into a slightly more jazzy direction. Message split in the early 80's.